SR are cut-in letter from factory name: Steagul Rosu (red flag), from Brasov (Brashov) - Romania, which became in time: Intreprinderea de Autocamioane Brasov (Brasov trucks enterprise), Autocamioane Brasov (Brasov trucks), Roman SA. The first trucks produce there, use this name. The first model was produce there, from 1954 and was named SR 101 - it was a copy of the soviet truck ZiS 150, which was, on his turn, a copy of the american truck International KR-11. The truck has 4 tonns payload, 6 in line gas engine, 5550 cmc, 95 CP, 5 speeds gearbox. SR 101 it was replace, starting with 1960 (in 1958 starts new models developments, inspired from american medium-lights trucks), by the SR 131 Carpati. The new truck has 3 tonns payload (4x2, split type rear axle with twin wheels, 6 lugs). The cab of this models, was designed by the french, from Chausson Plant. It use a V8 gas engine, developed in Brasov by a Ford Y engine base, 5025 cmc, 140 CP, 4 speeds gearbox, speeds 2, 3 & 4 syncromesh. From 1962, with SR 131 Carpati, was banked together the new model SR 132 Carpati, with 2,5 tonns payload (4x4, split type front and rear axles, rear axle with single wheels, 6 lugs, 2 speeds transfer case, without central differential). After a while, the payload was increase from 3 tonns to 5 tonns and start in production, from 1964, the new model SR 113 Bucegi, with 5 tonns payload (4x2, banjo type rear axle with twin wheels, 8 lugs), based on the same cabin, designed by the french, from Chausson Plant and V8 gas engine, developed in Brasov by a Ford Y engine base, 5025 cmc, 140 CP, with 5 speeds gearbox, speeds 2, 3, 4 & 5 syncromesh (on option, the gearbox can be coupled with a auxiliary gearbox - reducer, or, rear axle can be fitted with 2 speeds differential, air controled). SR 113 Bucegi had few derivations like: SR 115 Bucegi - prime mover, or SR 116 Bucegi dump truck. In the same year, 1964, start the production for SR 114 Bucegi model, with 4 tonns payload (4x4, split type front axle, banjo type rear axle with twin wheels, 8 lugs, rear differential with selectable locker, air controled, 2 speeds transfer cases, with or without central differential). The factory made a 7 tonns model, with cab over engine, called SR 7 BA-1. This truch use same mechanical line, like SR 113. Later, V8 gas engine, 5025 cmc, 140 CP - engine code SR-211, was replaced with a 6 in line diesel engine, 5491 cmc, 135 CP, SAVIEM patent - engine code 797-05. With this engine, was mounted on the chassis, the AK 5-35 gearbox, with 5 speeds, nonsyncromesh. For SR 114 models, factory keep the original transfer cases. That modified versions called SR 113/114 D.
Latest, the factory made a "face-lift" for diesel versions: they replaced the front grill, with a panel, without headlights and front bumper was replaced with a three parts bumper, adapted from Roman trucks, which included the headlights. This modesl was renamed Dac 6135 R/RA. 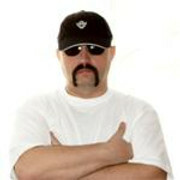 Gradual, the manufacturing of SR trucks was stoped and replace, all the way, by heavy-medium trucks Roman/Dac - MAN patent. Bonus: a project, based on a Roman 19215 DFK chassis, with SR cabin. Laatst bijgewerkt door MagnuM op 15 okt 2009, 22:26, in totaal 7 keer bewerkt. Another SR 116 Bucegi, dump truck, in Mariqita / Columbia. A SR from former Yugoslavia: Torpedo SRT. 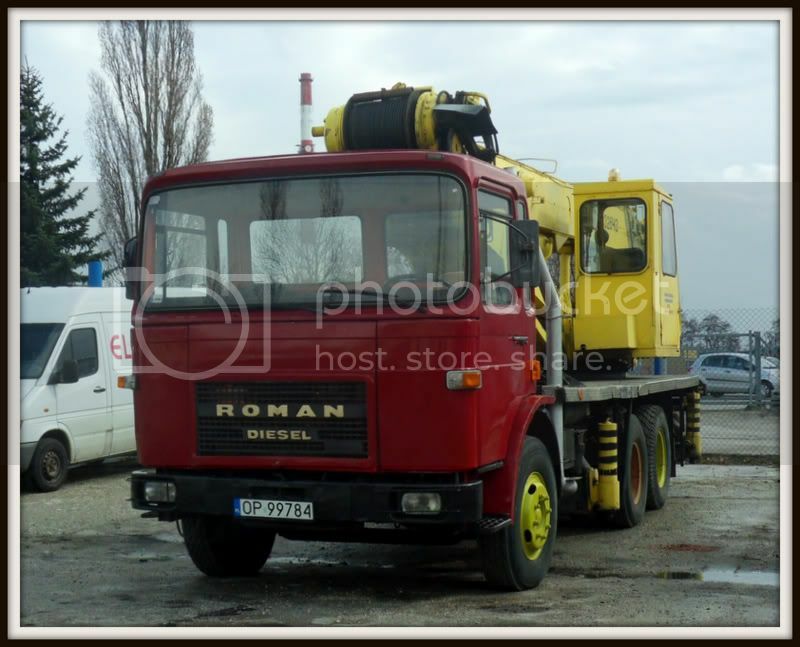 SR 116 Bucegi 6BR1S dump truck.